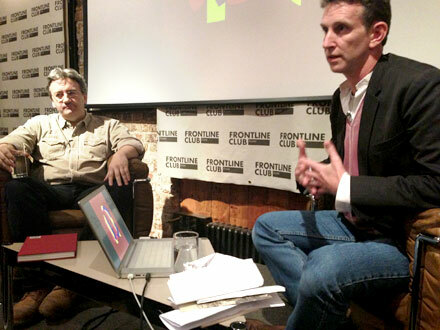 Bangkok-based photographer Nic Dunlop, in conversation with BBC foreign correspondent Fergal Keane, previewed his new book Brave New Burma at the Frontline Club on Wednesday 15th May. Twenty years in the making, Brave New Burma explores the country from the ongoing civil war to its deceptively tranquil cities, using both photographs and words by Dunlop. Nic Dunlop’s new book Brave New Burma is available on Amazon now. Sally Ashley-Cound is a freelance journalist based in London.